You cannot take care of a fish without a fish tank or aquarium. It is a vital part that you should consider before you think of taking care of fishes inside your house. Choosing the right fish tank is crucial as it will provide a comfortable environment for your fish. The wrong fish aquarium may cause death to your fish especially if it’s not suitable for them. Hence, we’ve rounded up the top 8 picks of the best fish tanks and aquariums that you should check out. For your fish to survive, you must provide them a proper environment. 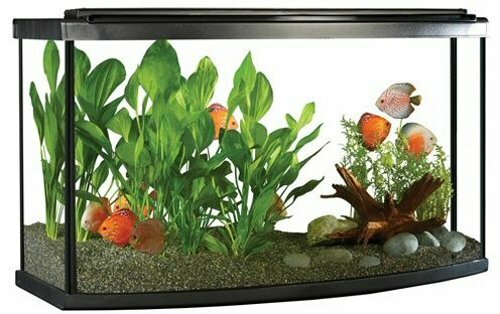 Below are the fish tanks that every pet owner must consider. It is common for most manufacturers today to incorporate LED lights into fish tanks to create a stunning water puddle for your fishes. This product is not an exception. Its sleek modern hood blends nicely in any contemporary living room or patio. The integrated 24-hour timer with three independent channels: bright white, sparkling blue, and color enhancing LEDs create an illusion of moonlight wading in the waters. Should you wish to keep it indoors, the automatic 30-minute sunrise and sunset and the 60-minute moonrise and moonset can replicate the natural day cycle for your fishes. Thanks to its compact size, it does not consume much space inside the house. You can customize the built-in filtration however you want. It will only take a few minutes in setting up the product, and it’s easy to maintain. The transparent glass back panel provides an easy refugium set-up. It has a quiet submersible pump, dual intakes, and an adjustable return nozzle. 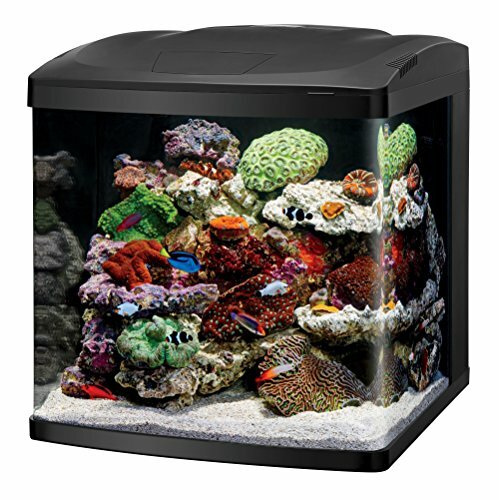 This combo set from SeaClear includes an aquarium, reflector, and electrical 24-inch light fixture in the package. Compared to standard glass, the acrylic aquariums are more transparent and up to 17 times stronger. The weight is cut in half, making it easier for you to transfer it around the house. 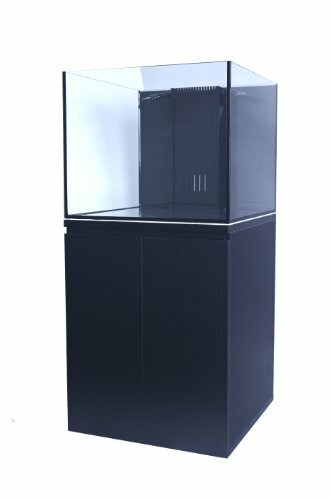 This fish tank is impact resistant and less prone to chipping and cracking compared to the standard glass fish tanks. It’s an ideal choice if you have children running around or active pets inside the house. You can use either saltwater or freshwater for this product. Thanks to this clear aquarium, your colorful fishes and decorations will pop inside, creating a calm vibe inside the house. The quality of virtually invisible seams is remarkable, backed up by the manufacturer’s warranty. This fish tank will feature the best of your fishes, landscaping, and plants inside. Check out this freshwater equipped bow front aquarium from Fluval. It’s ideal for beginners or aquarists who are looking for a new fish tank. The low-profile canopy LED light can disperse 1470 lumens and 8,000K (you can upgrade it to two light strips). The Fluval C4 power filter with industry-leading five-stage filtration is built to last for a long time. Another great feature of this product includes the submersible M heater with shock resistant glass and mirror technology. The package provides water-treatment, protein-rich food, net thermometer, and care guide, an ideal choice for beginners alike. All you need to do is set it up and introduce your pets to their new home. 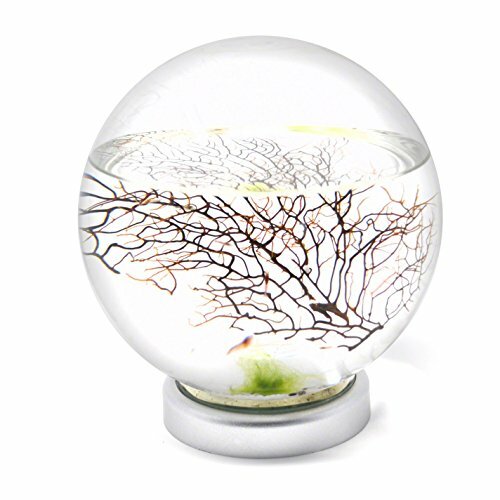 Check out this closed aquatic ecosystem large sphere from EcoSphere. This model features an LED base. It is an ergonomic choice for busy pet owners who do not have time to clean and feed the shrimps. This wholly enclosed little world will provide full protection from any risks outside. Once placed in a dark room, you can highlight this tank’s beauty. The base is powered by a wall plug, or you can buy 3 AAA batteries to keep it running. Choose from four different color modes to make it an even beautiful journey. It also allows you to choose between slow or fast pulse, depending on your preference. You can keep this little world running as long as it’s fueled by electricity. Are you looking for a fish tank that you can showcase to your living room? Check out this Waterbox aquarium. It features ultra-clear glass on all sides. The package includes a water-resistant double UV-coated stand. Plus, the intelligent ATO system and Sump System, an ideal option for beginners. You also have a plumbing kit for a smooth and quick set-up. 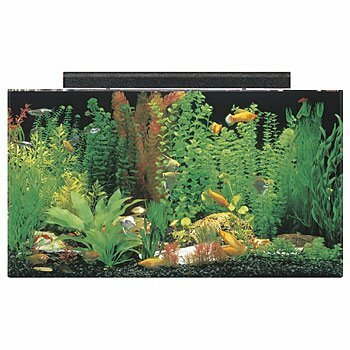 This hand-crafted and unique aquarium can provide a better home for your fishes compared to the pet stores. Now you can create an appropriate aquatic environment in your own home. Its superior quality and waterproof materials can last for a long time with proper care and maintenance. This Starfire rimless tank from SC Aquarium allows you to provide a nourishing environment for your fishes. 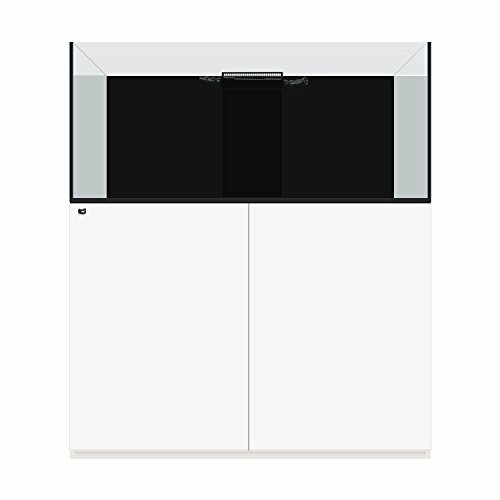 Its heavy-duty cabinet with dual opening doors offers extra storage for heaters, food, and other aquatic items. The package includes a Durso standpipe, Return T pipe, bulkheads, tubing, and filter media for easy set-up. The complete package of this fish tank allows you to set it up in just a few minutes. All you need is salt water, and you can start the cycle right away. For pet owners who don’t like their tanks generating unnecessary noise, you can add the reverse Durso to silence it altogether. Now you can watch your fishes swimming in peace and create a calming effect on your house. Every aquatic should check out this Brio 43368 aquaponics. The complete aquaponics system includes the glass aquarium with cover. Thanks to its water circulating pump, cleaning is a breeze. It also features an expanded clay substrate so you can add any planted garden that you want. 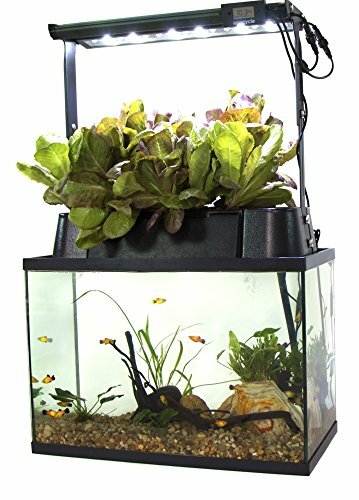 The programmable lighting system with two independent timers helps in illuminating the aquarium and the garden for an outstanding glow separately. It also has two Led grow bulb for foliage. The modern design of this aquarium blends nicely in any contemporary-styled house. If you want to create an appropriate aquatic environment in your house and take care of fishes, this is an ideal choice for you. Bring a unique experience to your home with this revolutionary home aquarium and enjoy the journey of taking care of marine species. 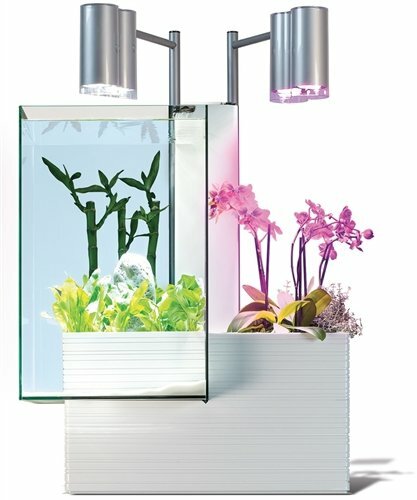 With this fish tank, you can grow fresh organic all year round without having to change water from time to time. The fish fertilizes the plants. In return, the plants clean the water for the fish in this closed and sustainable system that can be placed in your house. Thanks to its advanced and adjustable LED lights, you can grow your plants faster without consuming a lot of energy. Choose from the four grow settings, and you’re good to go. You can control it using a remote. There is also a built-in timer that allows you to make the most out of the system without difficulty. Instructional videos are included, making it easier for you to set it up. It’s an excellent learning tool for all ages if you want to demonstrate the chain in an ecosystem.